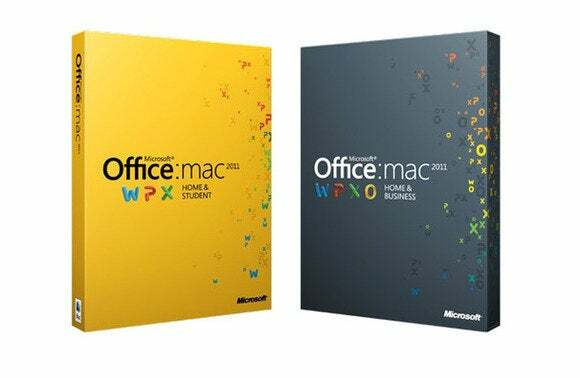 The clock is ticking on support for Office for the Mac 2011, and there's no sign from Microsoft of a replacement. According to the Redmond, Wash.-based company's life cycle policy, Office for the Mac 2011 will fall off support on Jan. 12, 2016, which is slightly more than 18 months from now. Although Microsoft supports its Windows suites for 10 years, it provides fixes and security patches for the Mac edition for only five. In February, Computerworld examined the historical pace of Office for Mac releases, and the lag between Windows and Mac product launches. The average time between Office for Mac editions -- going back as far as Office v. X -- has been 1,088 days, and the average span between Windows and Mac suites, with the latter always following the much-more-popular former, has been 188 days. But as of today, it has been 1,338 days since the launch of Office for Mac 2011, and 512 days since the on-sale release of Office 2013 on Windows. Both are records for Microsoft. Four months ago, Computerworld contrasted the loquaciousness of Microsoft in the run-up to Office for Mac 2011 with the silence on its successor. That hasn't changed: Microsoft has continued to remain mum on the next iteration of the suite on OS X. The extended blackout has not affected the usability of Office for Mac 2011 -- Microsoft continues to update the suite -- but its impending support cutoff may make businesses nervous. Unlike consumers, companies that have users running Office on OS X typically want time to test and verify any upgrade -- a time-consuming task -- before beginning to deploy the applications. If Microsoft doesn't launch a successor to Office for Mac 2011 until early 2015, those businesses may have less than a year to migrate. In the enterprise, a year is an eye-blink. One reason Microsoft may not be talking about the next OS X-based Office is this fall's expected appearance of OS X 10.10, a.k.a. Yosemite -- which could also be a factor in its release schedule. Yosemite will include a host of new features, some that Microsoft would certainly like to include in the next version of Office. "Handoff," part of Apple's "Continuity" lineup, would have to be one: If Microsoft implemented Handoff on both Office for OS X and Office for the iPad, users would be able to begin a document on one of the platforms, then pick it up on the other exactly where they had left off. Another new feature of Yosemite and iOS 8 will let developers select non-Apple cloud-based storage services from a list of potentials. Although Office for iPad automatically saves its documents to Microsoft's OneDrive or OneDrive for Business, Office for Mac 2011 does not. The successor on OS X could take advantage of Apple's new APIs to add the capability to Office on the Mac desktop. The next Office for Mac is long overdue by Microsoft's past practice, and the end of support for v. 2011 is 18 months away.